The Sun, the Earth and the Moon are celestial bodies in the Solar System. Our Solar System has one Sun and nine planets. There are satellites too. Some of the planets have moons and some do not. The Solar System jigsaw. Put each planet onto their correct orbit. Put the numbers on the correct planet. The Sun is a star. It is very large and it is near the Earth. The Sun gives the nine planets light and heat. The Earth is our planet. It is the third planet from the Sun. It is round. There are water (sea, rivers, oceans etc. 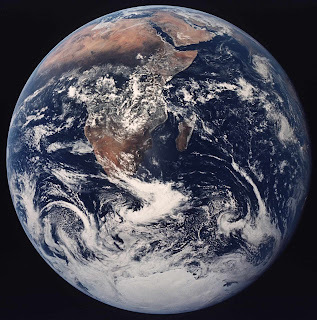 ), land (continents) and air in the Earth. 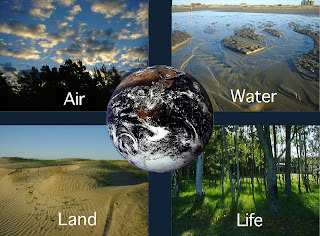 Thanks to water, land, air, light and heat there is life. 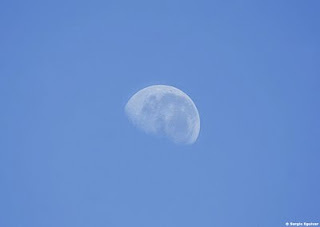 The Earth has only one satellite, that is the Moon. The moon is a satellite. It is near the Earth. It moves around the Earth. It takes 28 days.We can see the moon better at night. Wich celestial bodies are there in the Solar System? a) There are Planets and Stars. b) There are the Sun (a star) nine planets and satellites. c) There are Satellites and stars. 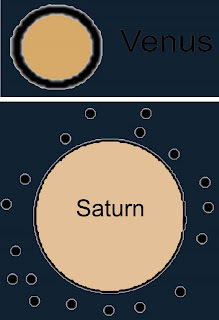 What does the Sun give to the nine planets? Thanks to _________________ there is life on Earth. The Moon is a __________________ . The Earth moves around the Sun. This is the orbit. It takes 365 days. It is when the four seasons occur. Write on your notebook the name of the four seasons. The Earth moves around itself. This is the rotation. It takes 24 hours, a day. It is when daytime and night-time occur. - Choose a card and try to answer the question. - Information about the Solar System. 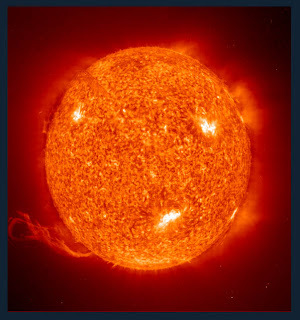 - Fun information about the solar system. - Solar System simulation. Really good. - Solar System information and activities. 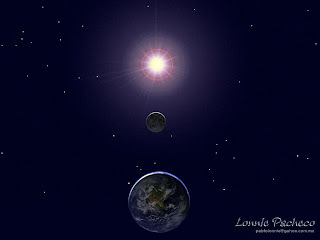 - More information about the Solar System. - Information about the Earth. - More info about the nine planets.